With the decision to keep poultry comes the need to learn how to address various ailments. This includes learning how to treat bumblefoot naturally. The real question is, do you have the necessary items on hand to treat this infection naturally? 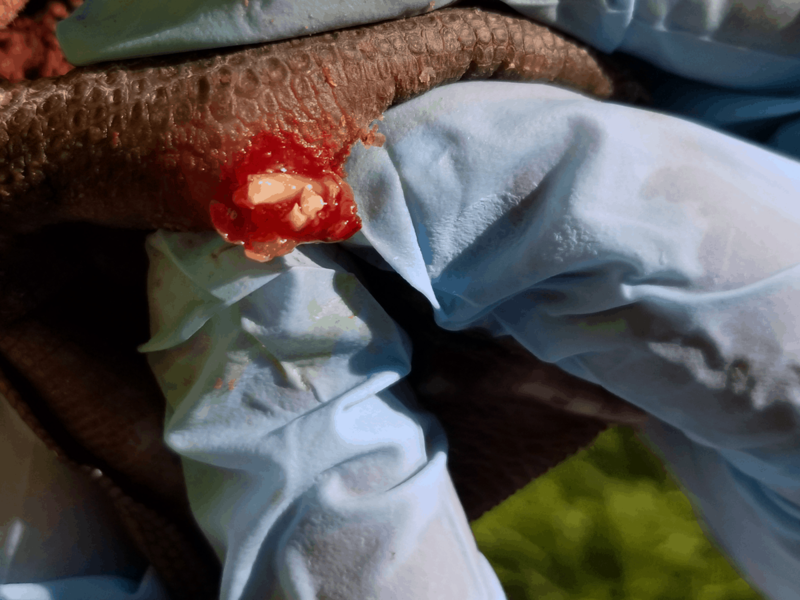 In order to treat bumblefoot you need to know what it is, and I will warn you, you may more than likely turn green and gag a bit through this. Don’t say I didn’t warn you. Just remember, naturally treating bumblefoot is the best option for poultry. It all started on a Friday morning. During the morning feeding I noticed that a duck hen was slightly limping and moving slowly. This is really isn’t uncommon during spring, as mating season is in full swing. The hens can’t seem to get away fast enough from the ready-to-do-the-do drakes, often slightly turning their foot as they frantically try to get away. The little hen was still moving about easily so I dismissed the limping, writing it off as a minor strain to the foot. By Saturday there was no denying that there was a bigger problem. The limp had worsen and she would not put weight on the foot. Bee was promptly removed from the flock and a wellness check was immediately performed. The little duck had a good case of bumblefoot. Upon checking the foot, I noticed a scab, this indicates that a kernel was present in the foot. Other indications that we were dealing with bumblefoot was swelling of the foot and the area being warm to the touch. Naturally treating bumblefoot is easily achieved. 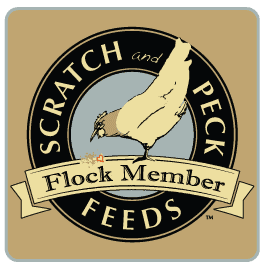 First, you’ll need to know what it is, then what causes it, as well as how to prevent your flock from contracting it. The scientific term for bumblefoot is plantar pododermatitis. It’s a mouthful to spit out so don’t kill yourself. We’ll stick to using bumblefoot throughout this article. 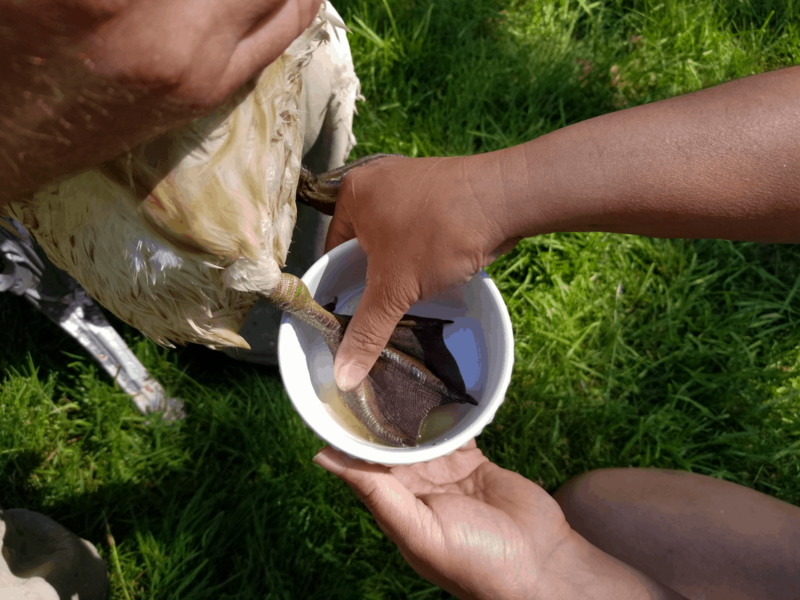 Bumblefoot is an infection which can be found on the top, side, or bottom of the the bird’s foot, and is a pretty common condition found in poultry flocks. Staphylococcus bacteria, in short staph, enters through a cut or irritated area causing a condition called Plantar Pododermatitis, also known as, Bumblefoot. The abscess then fills with puss causing the area to become inflamed, and if left untreated can lead to death. In severe cases a kernel, which consisting of dried puss, forms. 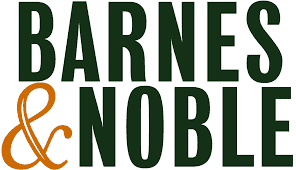 The kernel must be removed in order to treat the infection. Let’s be honest, bumblefoot is painful. Extremely painful. 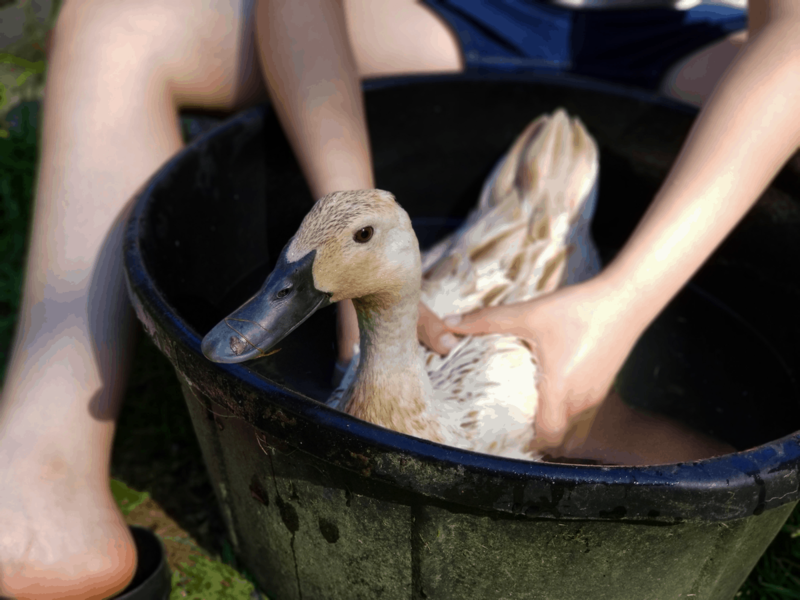 Bumblefoot is a common condition within the world of poultry keeping. 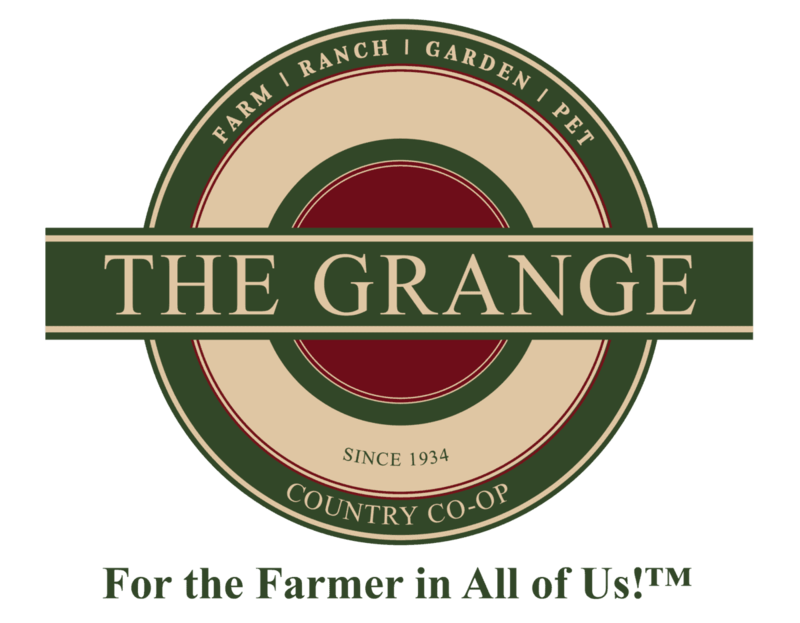 Individuals who practice excellent animal husbandry cannot prevent this issue. The following situations can cause impact or injury to the foot, leaving room for bumblefoot to occur. 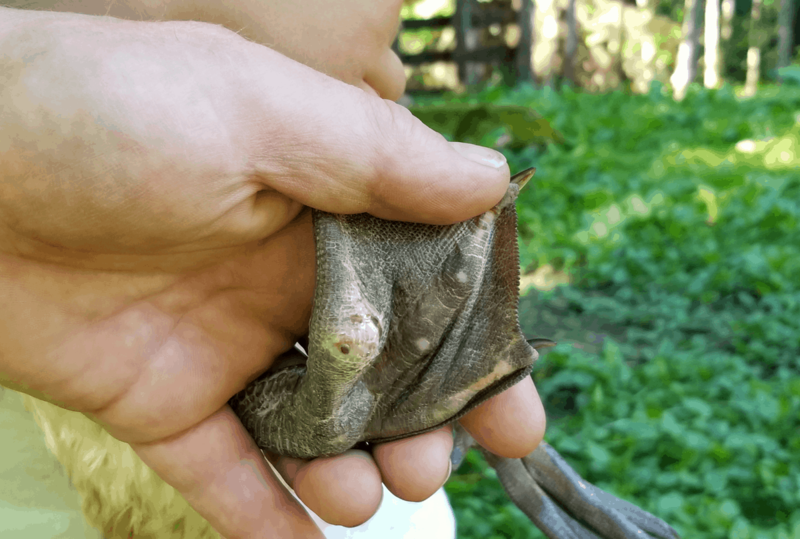 One can become a mother hen and set up rubber mats everywhere in order to help prevent the issue, but in truth, some things can’t be prevented. However, there are a few things which can be done in the coop to help prevent the issue. 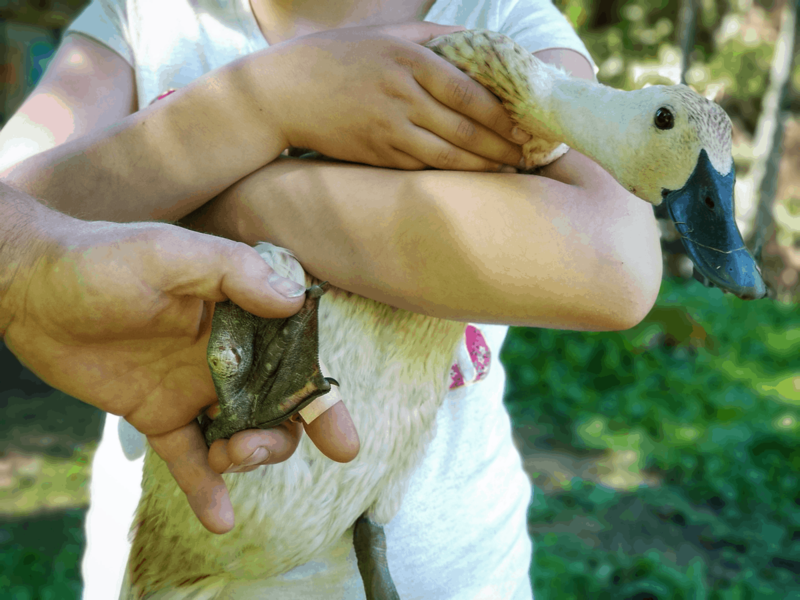 Avian veterinarians are difficult to find in our area, and more than likely will suggest an antibiotic along with a chemical based ointments for treatment. Naturally treating bumblefoot is easy, gross and it may make you gag, but easy to do. Soaking treatments, if administered early enough, will work to help kill the infection and sooth the inflammation. Espon salt works wonderfully to help naturally reduce the inflammation. Oh goodness, yes, I did just throw those three options at you! Let me tell you why. When treating yourself, family, or livestock with essential oils only the purest oils should be used. 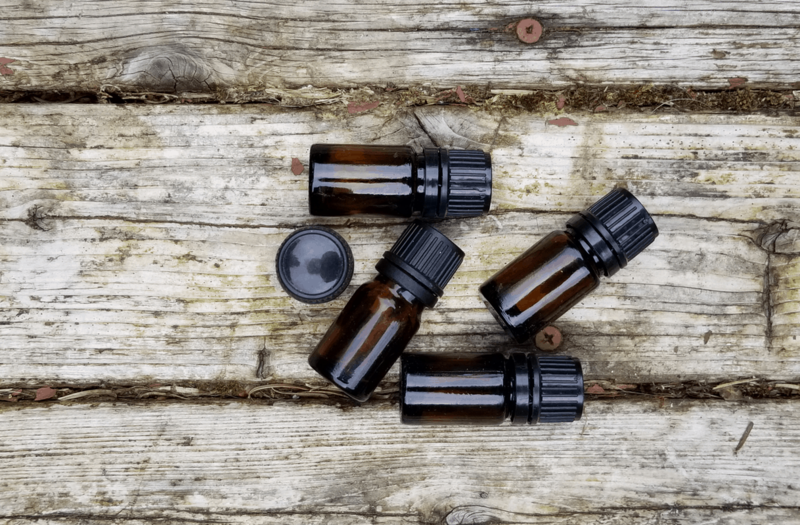 It’s important to understand the difference between a therapeutic oil versus an essential oil that is used as a perfume for a pleasant scent. Friends, use caution when providing essential oils to your pets and livestock, an oil which is not in its purest form will do more harm than good. Keeping in mind, less is more. 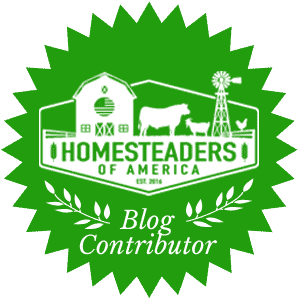 You can learn more about the oils we trust and faithfully use on our homestead here. Colloidal Silver also contains antibacterial and antiseptic qualities, and it can be used both internally and externally. CS is made of microscopic and submicroscopic silver particles suspended in water, and the process of making it is extremely easy. Silver rods, 99.9% silver, are placed into distilled water and a generator is used to charge the silver, causing the particle to become suspended in the water creating what is commonly known as Silver Water. It is not possible to ‘overtreat’ using colloidal silver. This allows us to treating bumblefoot topically by applying directly to the infection and provide it internally as a natural antibiotic. 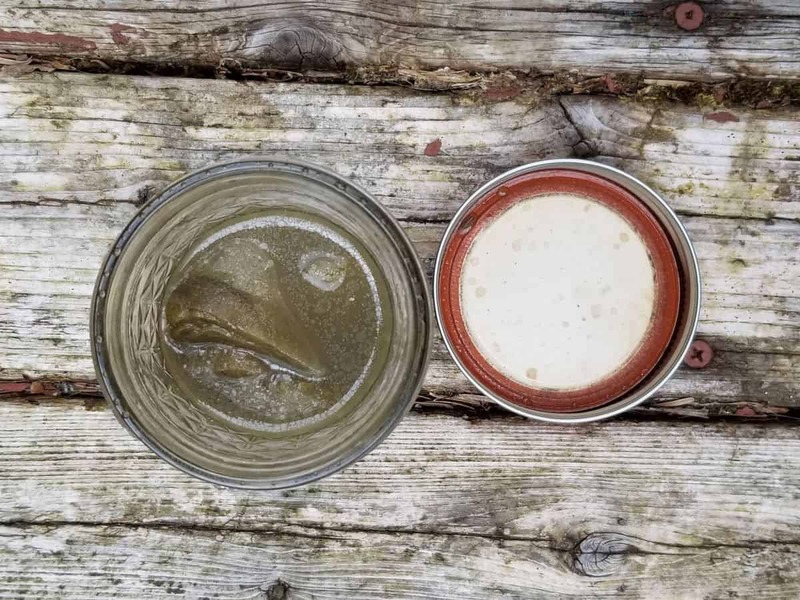 Brewing colloidal silver on the homestead is easy to do, especially if you plan to incorporate it regularly as a holistic regiment. 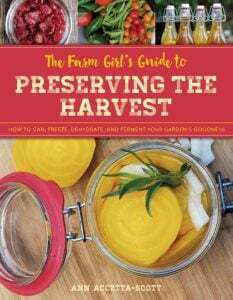 Not interested in brewing it yourself? CS can be purchased easily at a supplement store or online here. The use of herbs dates back longer than one can begin to imagine. Their natural healing qualities are exceptional and one we use regularly to create a strong immune system or address ailments. Offering herbs on a daily basis will help to keep the immune system strong. These herbs can be provided fresh or dried to their feed or waterer. An herbal healing salve can be applied to the foot to help with the healing process. Because poultry are exceptional at hiding injuries and illnesses you may never notice they are not well until it’s too late. Hence, the need to surgically remove the kernel. Once you are able to put aside the fear of cutting into the bird’s foot, the process is actually very easy. Keep in mind, the entire kernel will need to be removed in order to eliminate the infection. If not, another surgery will have to be performed. Soak the foot in an Espon Salt bath for 30 minutes to soften the scab. This may soften the scab enough to remove both the scab and kernel. Sterilize a scalpel using colloidal silver, rubbing alcohol, or vodka. 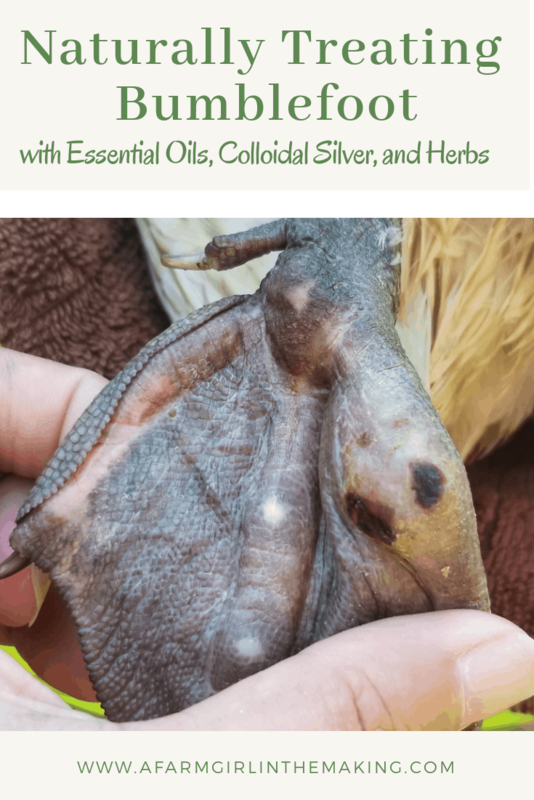 Clean the bird’s foot with colloidal silver or Betadine. If a scab is present cut along the edge of the scab to loosen it from the skin of the foot. If no scab is present create a small incision in the shape of an X. Squeeze the opening to remove the puss and/or kernel. Take caution to remove all the kernel or any smaller kernels, any left behind will cause the staphylococcus bacteria to remain in the foot. Immediately soak the foot for 20 minutes in following solution: 1/4 of a cup of colloidal silver, 1 drop each of Melaleuca, Geranium, Frankincense, Oregano, Helichrysum. Or select any combination of essential oils from the list above. On a colloidal silver soaked gauze, add one drop each of the essential oils listed in step 6. Place the saturated gauze onto the open wound and wrap. Change the wrap between 1 to 2 times a day. Before apply the new wrap, soak the foot in Espon salt to help with inflammation. If the gauze sticks to the wound, soak in clean water to help loosen it. Continue these steps until the wound has closed. The recovery time will vary based on the bird and the breed, often taking up to two weeks for the bird to begin showing signs of recovery. 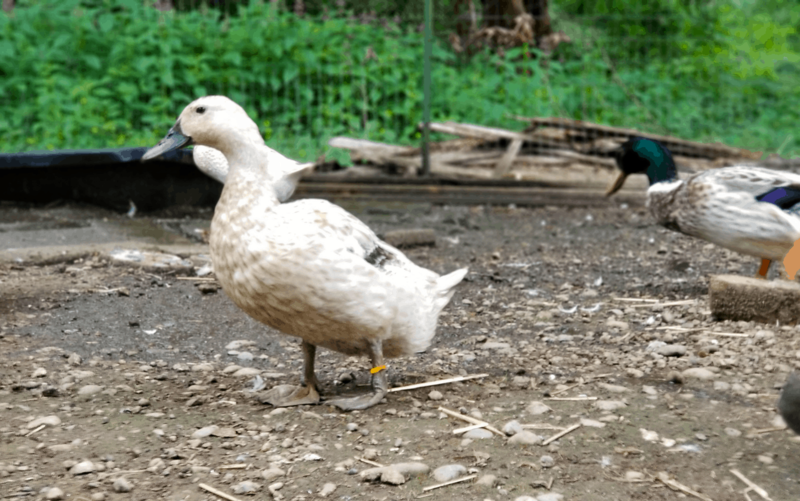 Ducks have a harder, and longer, recover period than chicken or other poultry. Thankfully that wasn’t the case for Bee, she was fully up and walking within 1 week after the surgery. I truly believe this was due to the aggressive approach we made on naturally treating bumblefoot. Keep in mind, inflammation can be present for a few weeks after treatment/surgery has been performed. Soaking the foot in an Epson salt bath will help to minimize any inflammation. 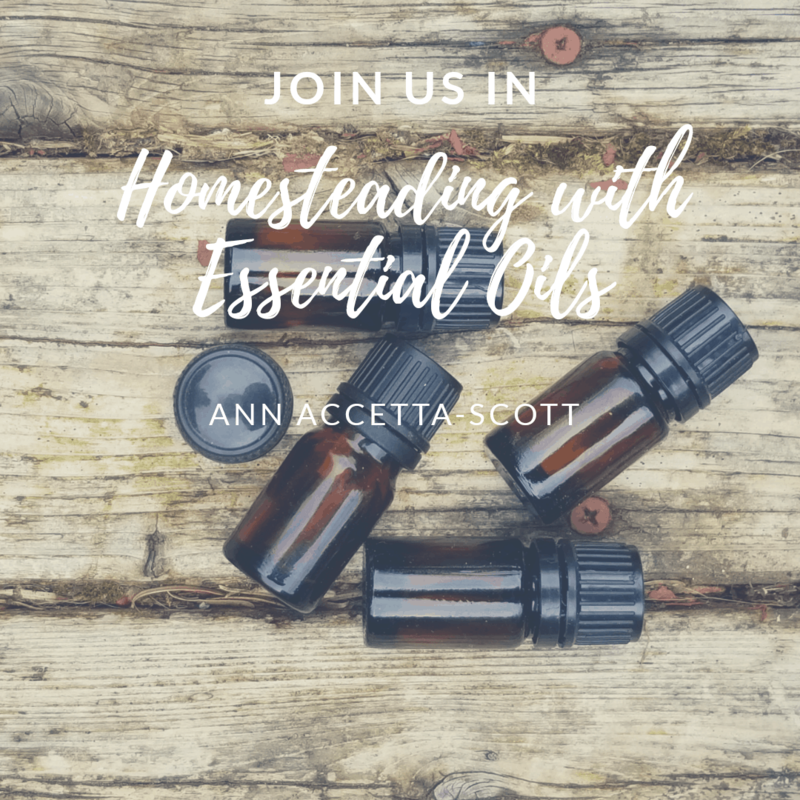 If you’d like to learn more about how to use essential oils around the homestead and for your family come join me here! Home brewed CS ranges around 10ppm, that is enough to get the job done. If treating for injury or illness I provide it straight, as a preventative I add it to water. If you are not brewing it yourself then, yes, it is spendy, we brew our own. 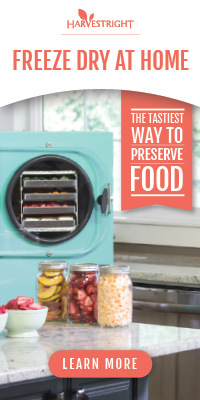 It will vary depending on the animal weight in regard to how much you would provide.